Hello, Sweetwater guests and fans! Butterscotch here! I’ve got so many awesome things happening right now that you HAVE to know about! There are two bedrooms – Rosa’s with a King size bed and a private bathroom with a walk-in shower, and Annie’s with a Queen size bed and a large private bathroom with a walk-in shower as well as a clawfoot tub. The cottage has a common living room area with a pullout couch, a dining room and full kitchen, a guest bathroom and a backyard patio. The front porch wraps around, too! I looooove it and I know you will too! 2. 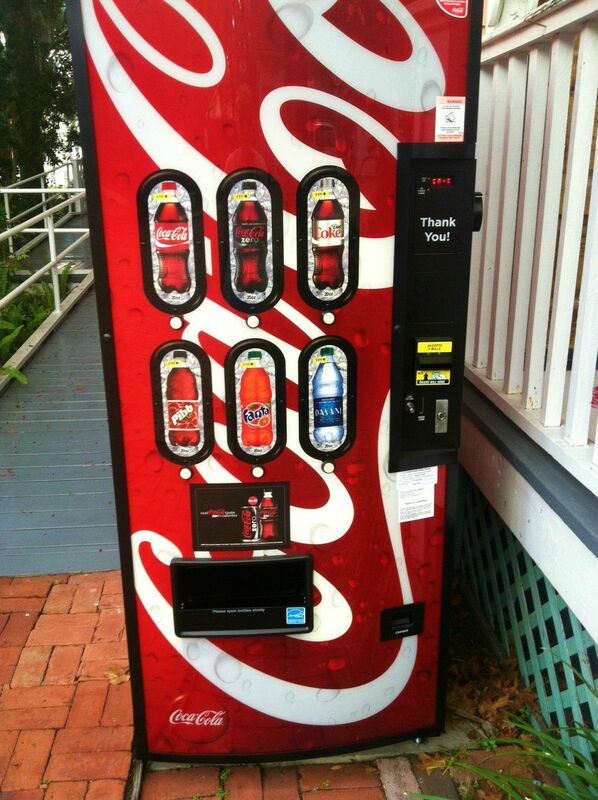 We got a vending machine! For all of those guests who get reaaal thirsty like me. 3. Our garden is looking really nice! 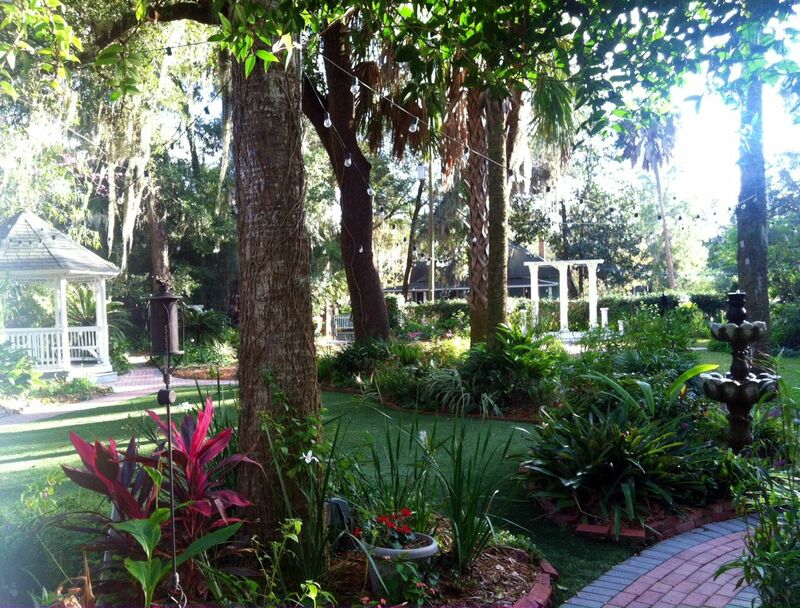 – definitely the best place for my late afternoon naps – OH I MEAN for all of the pretty Sweetwater weddings! 4. We’ve just decided all of the new Spring 2013 dates for our Farm to Table Progressive Dinners! These dinners sound so yummy.. 5 Courses, made with all fresh, local ingredients, and each course paired wine! The appetizer, soup or salad and main course will be served at Sweetwater, and then the cheeses, coffee and dessert will be served at our partner cafe, The Fat Tuscan! Plates are just $80 INCLUDING tax and gratuity! Talk about a great deal! Call us here at Sweetwater (352) 373-6760 to make your reservations – and do it quick! Space is limited and these spots go fast! 5. 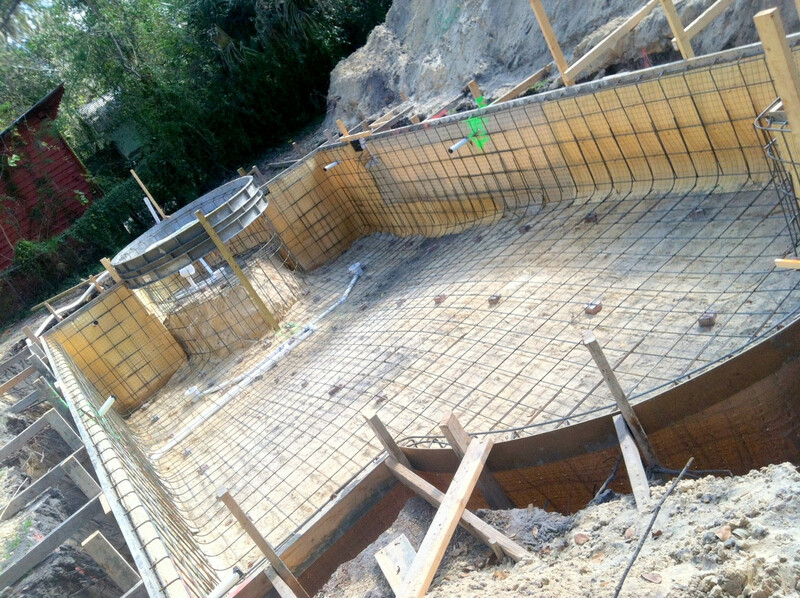 AND LASTLY my new favorite thing is getting built just next door to the front office – guys, it’s a pool! 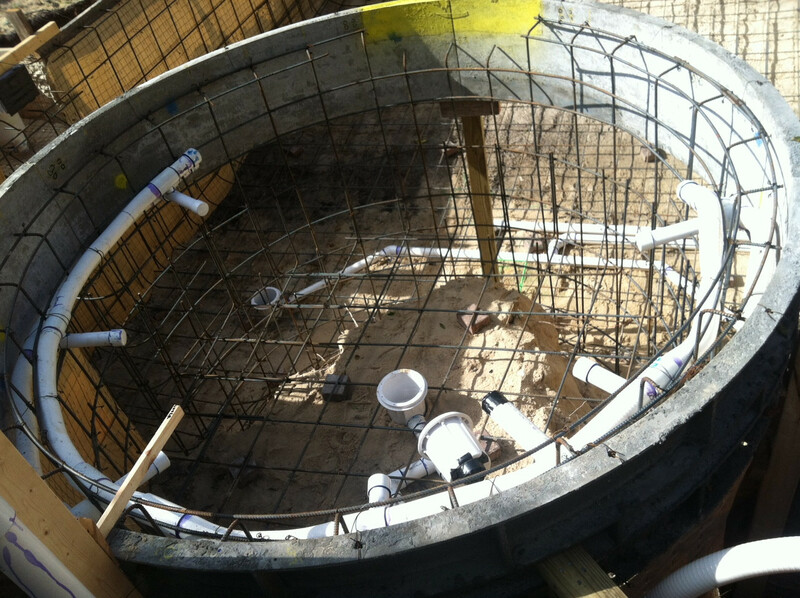 We’re soon to be the proud owners of a 30 foot heated eco-friendly inground salt pool and spa! Oh my goodness you guys this is going to be great! 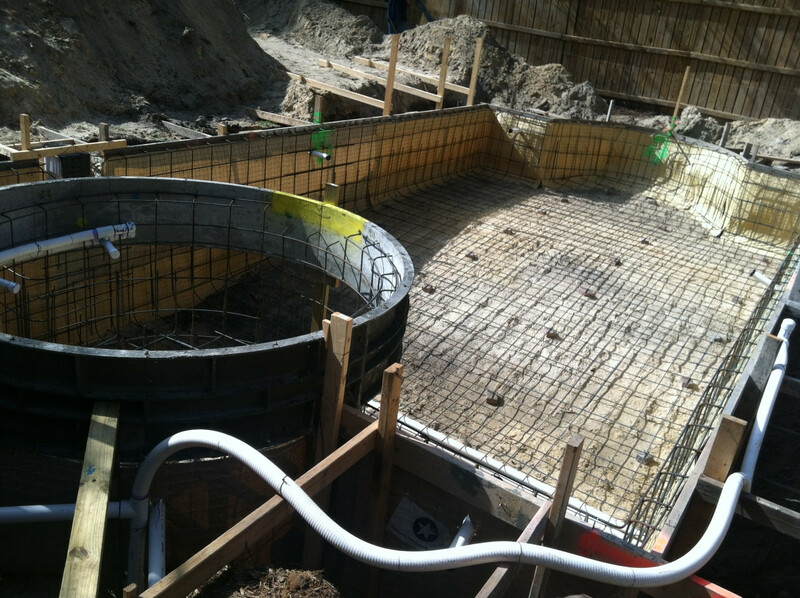 Here are some photos of the new pool as it’s being built – completion date should be late February! 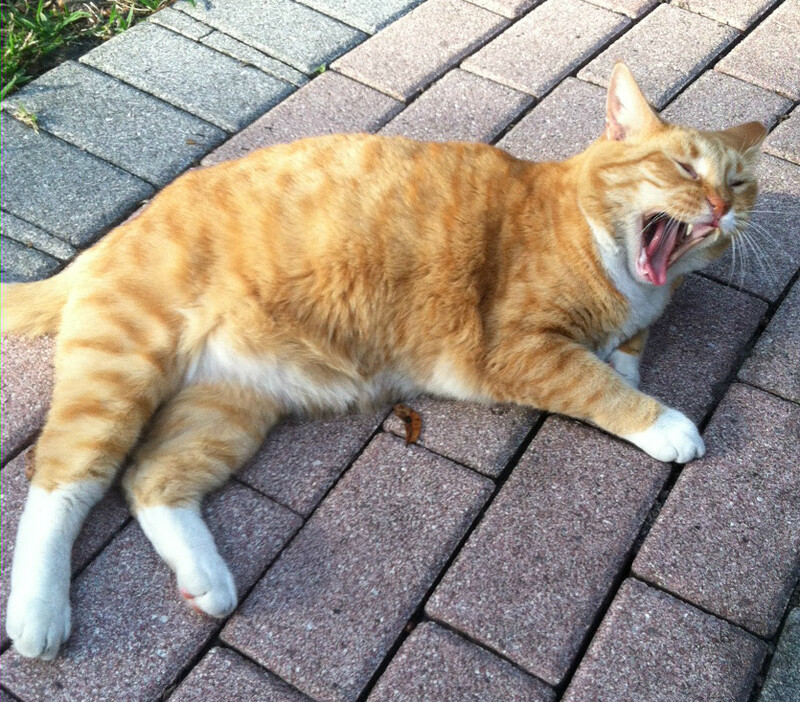 This is your favorite Sweetwater cat, Butterscotch! Signing off to go nap in the garden. Hope to see you soon! All NEW Updated Rooms & Cottages Photos! — Attention North Central Florida Brides!